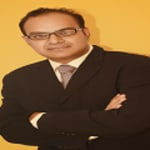 Dr. Bijander Jain is a popular Dentist in Budh Vihar, Alwar. He has had many happy patients in his 24 years of journey as a Dentist. He studied and completed BDS . You can visit him at JAIN DENTAL HOSPITAL AND IMPLANT CENTRE in Budh Vihar, Alwar. You can book an instant appointment online with Dr. Bijander Jain on Lybrate.com. Lybrate.com has a nexus of the most experienced Dentists in India. You will find Dentists with more than 38 years of experience on Lybrate.com. You can find Dentists online in Alwar and from across India. View the profile of medical specialists and their reviews from other patients to make an informed decision. Hi doc, I felt two lumps under my jaw two weeks ago on of them is small and another one is big but I cannot feel them when my head is straight I only feel them when my head is tilted completely to the right and my ear is on my shoulder and when my head is straight there is nothing there last night I felt another one just like them and now im terrified also I took antibiotics like amoxicillin cefixime cephalexin and nothing happened what should I do? Don't panic at all. These are not lumps just they are a group of lymph nodes situated below your jaw. They are normal anatomical structures. If you feel pain in them or tenderness or pain during swallowing then it can b a sign of infection for that you can consult your near by doctor otherwise no need to take antibiotics without any prescriptions. Is it painful to get a tooth removed? I got an rct done but now I want to remove it. Hello sir, Before tooth removal you will be given a local anaesthetic which will make that region numb so that you will not feel any pain. You might feel slight pressure being applied on tooth but not pain. I have tooth ache day before yesterday due to which I took a pain killer (bruffin). Now I have swelling and pain. What to do doctor? It looks like an infection below root of tooth due to decay on tooth. ..pain killer will not help for it.. You have to go for root canal treatment.. Visit to a dentist soon before swelling increase. .
How I stop my teeth pain because I choose every time different toothpaste and my. Teeth gonna pain again so how I prevent my pain. Teeth pain may be due to various reasons like infection, sensitivity or trauma. If your teeth is decayed it is better to get it filled or treated by a dentist. If you are opting for root canal treatment do not forget to get a crown on the effected tooth. If you want to go for only medicinal treatment so let me tell you only medicine are not going to be very effective untill you get this treated by a dentist. My teeth in zig zag in shape and my teeth are suffering from cavity what will do for it. As for the teeth which are not straight, it's better you opt for 1 orthodontic treatment (alignment of teeth using clips a. K. A braces, especially if you are in the age group of 16-27 for really good results) 2 smile designing (specialised prosthetic designing of the teeth to accomplish the perfect smile, the advantage being a really quick treatment time compared to orthodontic treatment) as far as the cavities are concerned, if they are not too deep and the associated teeth aren't paining at any point of time, you may go for restorative treatment by 1 temporary cement 2 permanent cement 3 laser cement in the case that the associated teeth are sensitive, or the cavity is deep, you may need to opt for a root canal treatment. Hi, I have some pink coloured gum type filling in one of my upper teeth used for chewing (maybe its called molars) its not painful but why the gum or say the mouth skin has gone inside it? I am 23 years of age. Please I am experiencing bad breath. Even if I brush it won't stop. Please how can I treat this? Hi lybrate-user. First of all thank you for your query. Bad breath is common for most of the people. It can be due to many reasons. As far as oral cavity is concerned I wanted you to see if there is any decay in your tooth which can cause food debris to get stuck snd cause badbreath. Also due to stains and calculus it can also cause bad breath. Other reasons can be gastric (regurgitation) and maxillary sinus (sinusitis. So check for all these causes. Do tongue scraping and brushing twice and chlorhex mouthrinse. Drink lots of water. Keep calm. Hope I hav answered your query. Thank you and have a healthy day. I have been suffering in tooth pain last 3 yrs. One if my front tooth is damage, I feel pain. It seems you might have a deep cavity. In your front teeth. Kindly get an xray done to estimate the amount of damage. And you might have to get a root canal treatment done in the tooth. Proper brushing techniques and procedures protects your gums and teeth. I have face a problem pyria in my teeth. please give me information about it how to remove it.& suggest any teeth gel. Pyorrhoea is a condition of infected gums. To know the extent and severity of disease you must get one opg x ray done. Scaling and polishing is done to start the treatment. If required go for flap therapy and bone graft.